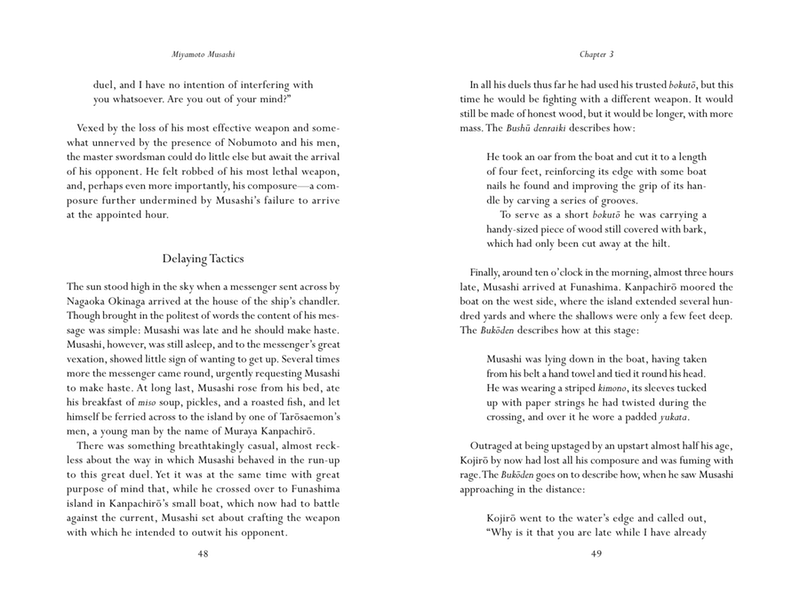 First to translate two of the oldest accounts of Musashi's career, the Bushū denraiki and the Bukōden, the author here presents a full biography of this most famous yet most enigmatic of swordsmen, Miyamoto Musashi. 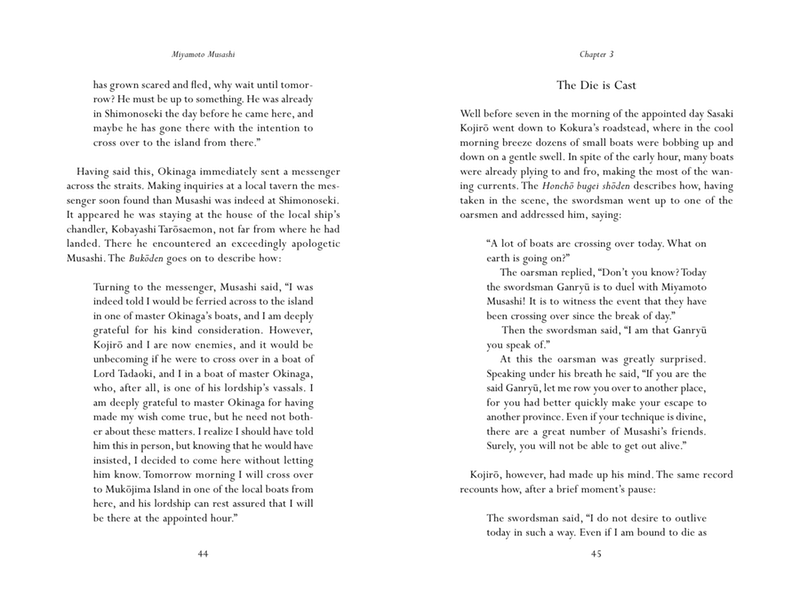 Drawing on a wealth of additional and often neglected original sources, the author reveals how events deeply buried in Musashi's past set him on the hard path to prove himself a "swordsman without equal"—a path that began with the brutal slaying of Arima Kihei, led to the fall of the illustrious Yoshioka clan, and culminated in his dramatic encounter with Sasaki Kojirō on Ganryū island. 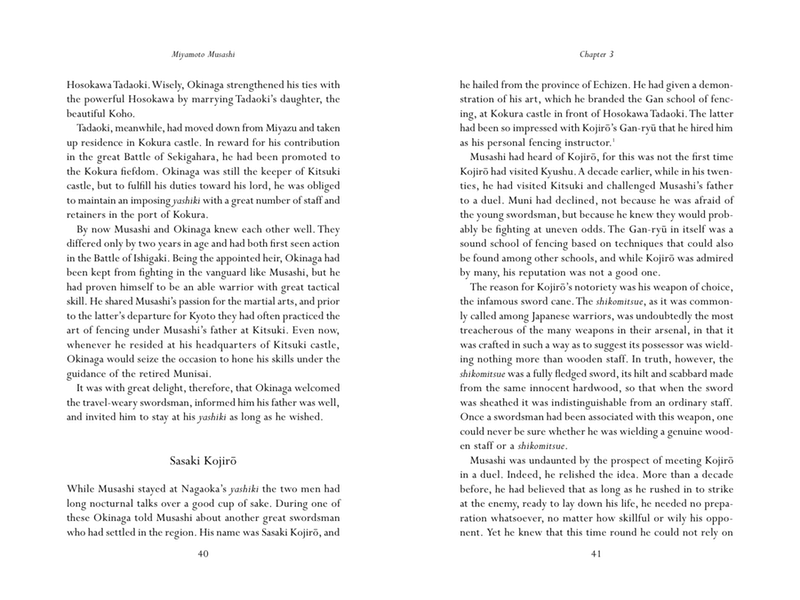 A Life in Arms traces Musashi's constant search for his own distinct style of swordsmanship; how he built on what he learned from his father and his uncles, how he perfected it on his musha shugyo, and how his Enmei-ryu evolved into the Niten Ichi-ryu, his unique art of fighting with two swords. 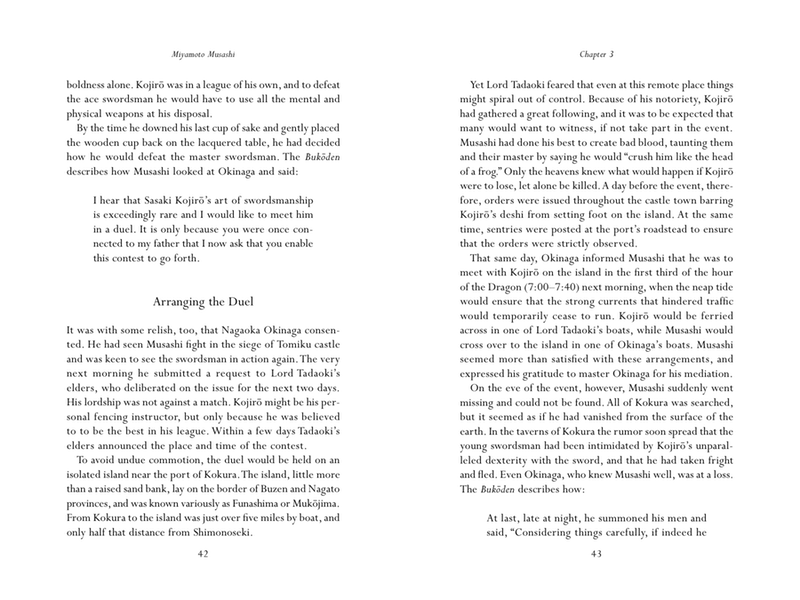 Finally, it traces the remarkable gestation of The Book of Five Rings, his great legacy to posterity of a unique martial philosophy. 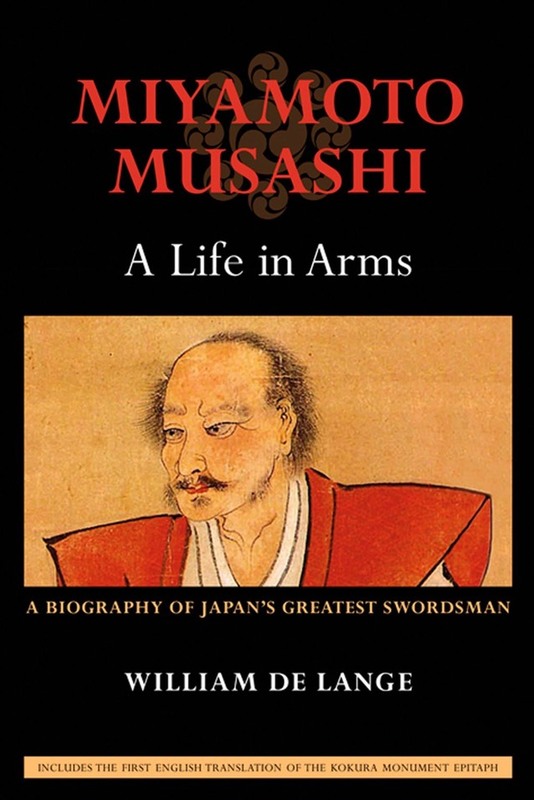 A Life in Arms shows how Musashi's path through life was shaped by strong personal traits: his reckless valor in the face of danger, his sensitive intelligence in the fields of art and architecture, his generosity toward peers and pupils, and his defiant stubbornness in old age. 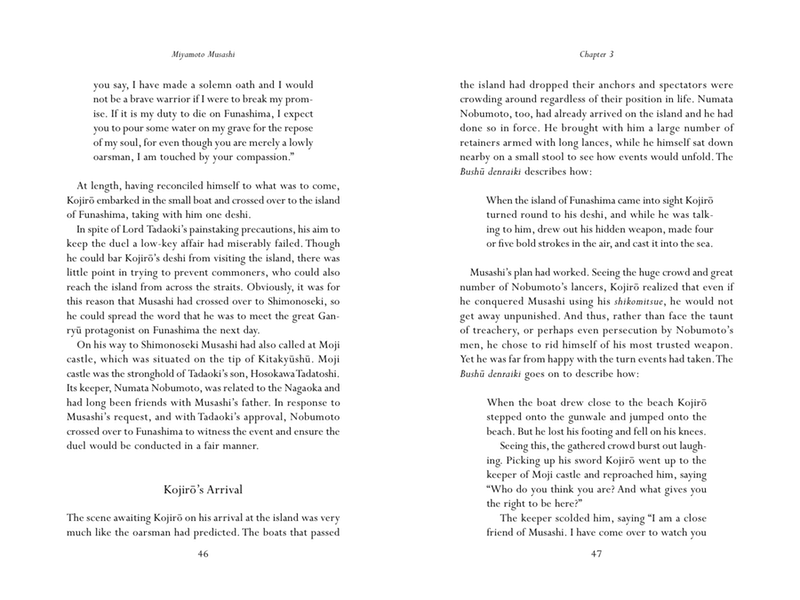 The complex yet human portrait that arises is a far cry from the accepted one-dimensional caricature of this medieval swordsman.